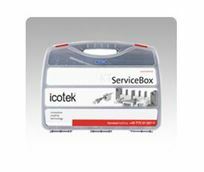 For process measurement and control equipment, an increasingly higher level of protection against failure is required. The shielding and the earthing of the shields is very important. Due to numerous mounting options and the large contact area of the SKL shield clamps, they provide a outstanding solution for EMC shielding. All Icotek EMC cable clamps for shielding cable diameters from 1.5 to 29 mm have been tested utilizing various frequency ranges. In all tests, there was minimal leakage resistance. 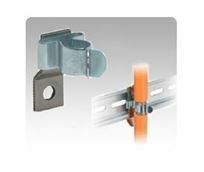 DIN-rail mount or Panel-mount clamps are available.